Go Incubation Board for Startup and Acceleration Firms (GISA) is a equity-based platform for small-sized non-public companies with innovative ideas. GISA offers counseling and capital raising functions, and helps small-sized innovative companies to grow. Taipei exchange invites GISA companies to 2016 Meet Taipei exhibition to display products and share experiences about how to start their businesses and how Taipei Exchange assist their businesses to grow. Since 2003, we apply Microsoft .NET technology to Office Automation (OA) software service for e-Service market with various patents and awards. E-Excellence Inc. was established in October 2006 in Kaohsiung City Taiwan. We develop U-Office Force suitable for all company sizes from garage company to international corporation to solve the issues regarding office management. 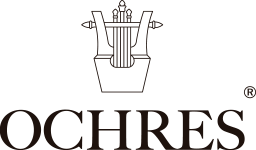 IF Company is the leading musical instrument manufacturer in Asia. We’re developing the market of music education and training in recent years and cooperate with" China Central Conservatory of Music" to build a high standard of musical instruments education platform together. NxControl System is the leading global provider of Smart Control System solutions, we have been committed to innovation, strong R&D capability and unique patented technology. Since its establishment in 2014, we work on smart control solutions of Internet of Things (IoT), particularly focus on home automation applications. Thinking of people’s needs and desires, our mission is to create an innovative smart home control system which can be used even for Smart Hotel and B&B solutions. HiTutor, the Subsidiary of Dewey International Education Consultants Ltd., is Taiwan’s first and largest online multi-language learning organization. HiTutor provides the highest quality online language learning service for learners , and opens a new era of online education. Today, we offer beyond 50 themed professional and interesting courses with over 17 languages for more than 100,000 learners to learn online worldwide. DOIT was found in September 2015, deeply in the future of customers in the big data with the development of Internet of Things and Industry 4.0, there will be a higher level of service demand, so from the beginning of 2014 the cloud product planning and organization team, and in-depth The existing customers understand their industry needs.Finally decided to set up to special focus on a new generation of cloud mobile integration products R & D and services, therefore, are the main products Sky Family is to the manufacturing industry in the design research and development, assembly production, International marketing and after-sales service in four areas through 3D digital data and cloud action applications to do the perfect integration to enhance the manufacturing industry in the international market for the purpose of competitiveness. Hanmin has introduced prospective network video capturing equipment in its digital surveillance systems, coupled with cutting-edge software engineering technologies and transmission facilities. While working with the best partners in relevant sectors in strategic alliances, we incorporate their know-how into various aspects of system operations. This allows Hanmin to provide comprehensive online services, seamless system integration and integrated solutions. 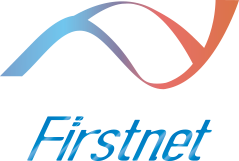 Firstnet is established in 2016 by a team with mission on "Internet + Health" innovative business model. The company is committed to using the Internet technology combined with the medical profession to change the Taiwan medical environment and public health care, we are the first "health care Internet platform. "in Taiwan. 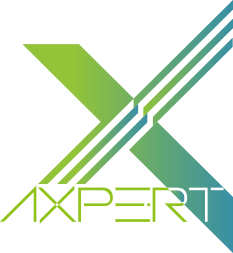 Axpert is a B2B IoT solutions company that enables brands to leverage the untapped power of their most powerful assets, their customers and products to grow and manage their business. Through Axpert’s IoT services, products are not just objects but touchpoints for the entire product ecosystem that deliver trusted content and services to meet consumer needs on-demand while providing brands the ability to make data-driven decisions. Platform applications are endless and include authentication, traceability, marketing, as well as specialized high conversion consumer repurchase.